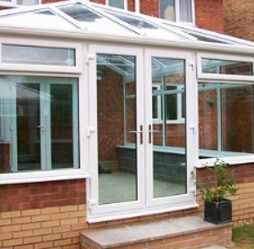 Wrightglaze is a family owned business that employs quality installers. We aim to provide cost effective solutions to all of your double glazing requirements. Our products comply with building regulations and energy efficiency standards. With many years experience in the trade we can cater for a wide range of finishes and styles to suit all needs required by you ‘the customer.’ We pride ourselves not only on the quality of our installations but also on our competitive prices. Being a family run business we rely heavily on word of mouth recommendations so we aim to exceed your expectations. We have been highly impressed with ‘Wrightglaze,’ Their workmanship is of an extremely high standard, the installers take time to explain exactly what a job entails and work to timelines so you know when your job is expected to be completed’. Gallery of various different work completed. Just to say a big THANK YOU! For the absolutely brilliant job you did on my porch, it’s really, really nice. You’re very professional and reliable. I would recommend you to everyone, viewers I’ll have to charge you, just kidding! Thanks once again for all your help and advice.